The village Herľany is placed in the skirts of Slanské vrchy – a mountain range. 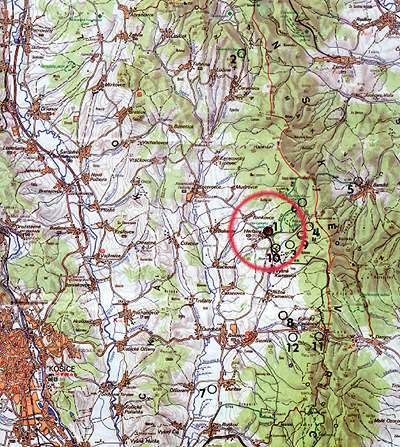 It is approximately 28 km far from Košice. It was well known already in the 17th century for its mineral springs. This fact was a cause of establishment of the local spa. The mineral springs were not sufficient for the demand for mineral waters in the year 1870. Because of that was begun to make a bore which resulted in creation of a world unique – geyser of Herľany. 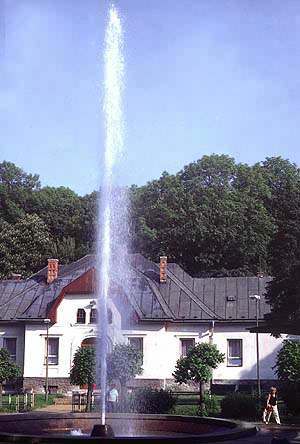 The significance of the village as a health resort faded after the year 1945, but the world curiosity – natural cold geyser (though it has lost its intensity gradually) keeps its unique for almost 130 years. - the interval between eruptions is 32 – 36 hrs. - the geyser temperature is 14 – 18 °C and its water is strongly mineralized.